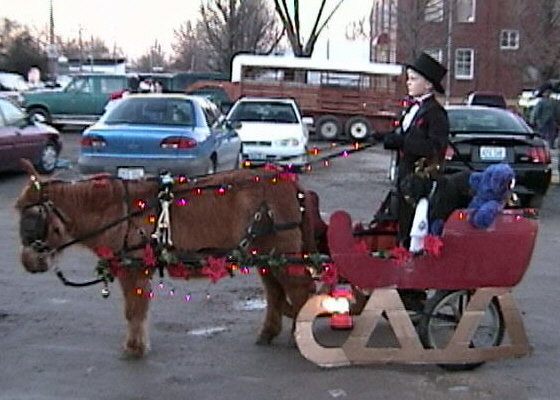 2002 St. James Christmas parade, Pony's last parade, she passed away quietly, 2/8/03 She was over 30 yrs old. she will be missed!! 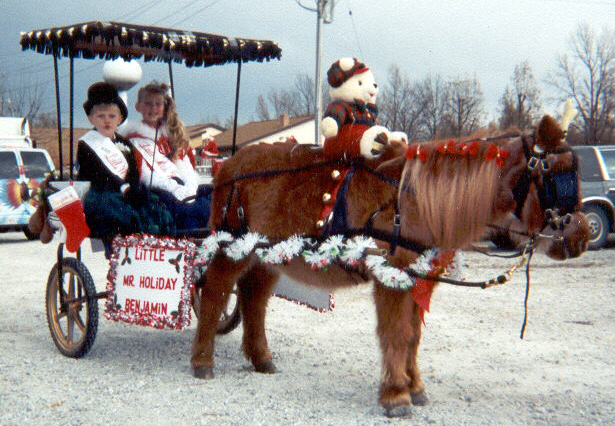 Driving in 2000 Christmas parade. Big bottle babies, raised on goats milk. 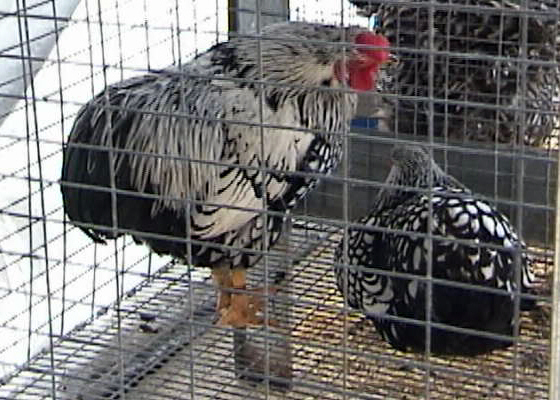 Benjamin raises; cochin, silver laced wyandotte, ameracauna, royal palm turkey, pilgrim geese. 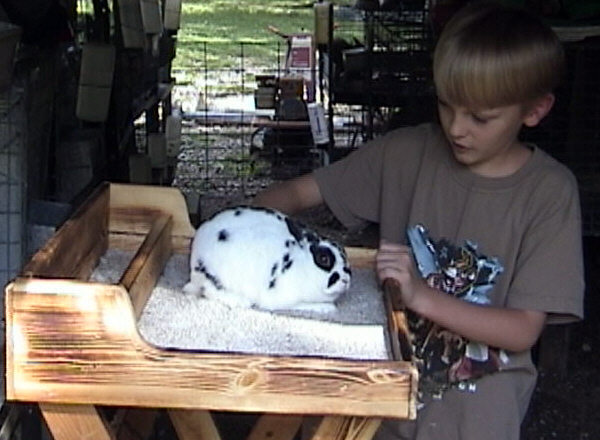 Also buns, polish, holland lop, mini lop, , mini rex, havana & satins. 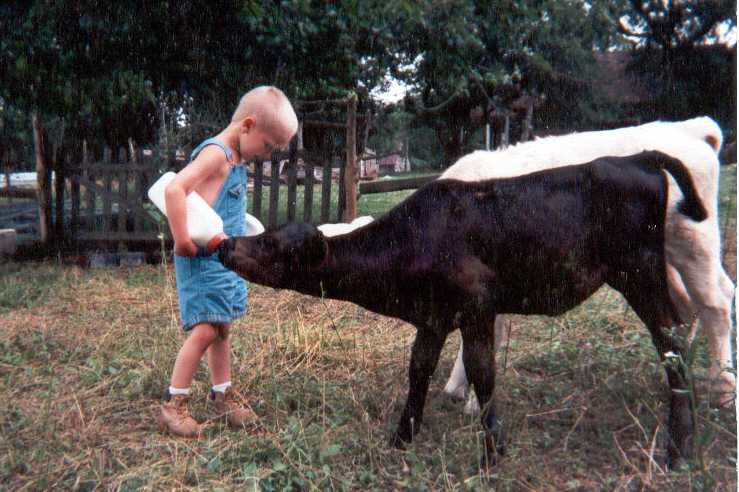 Benjamin does a pretty good job raising his own calf every year. 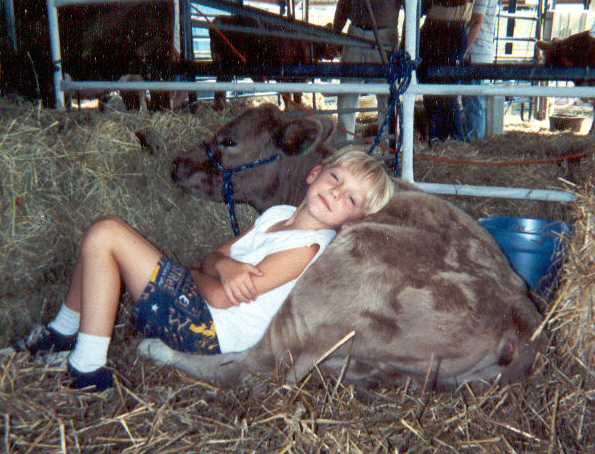 Here he is after a long, hot day of showing at a county fair. Sandy the pillow!. Showing French Lops at CMRF (Rolla) w/help from Amy. This big guy running toward you, is Legolas, one of several LGD's. In the background is Gimli, Eowyn, the new Gampr pup, Isildur. Legolas is #1 Livestock Guardian Dog around here, his back up consist of 4 more Armenian Gamprs Recently added trainees, Isildur is the new up and coming *star* LGD. In their countries of origin, these dogs were bred to handle wolves, bear and even human predators. 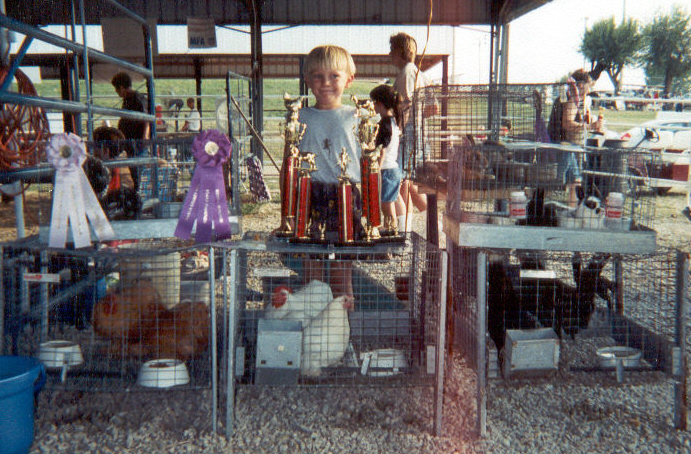 LGD's are a very important part of responsible livestock ownership today. We have a page for Gamprs on here. MILK FED PORK. will have pork for sale Sept. on the hoof, delivered to packing house. This is choice pork, hogs raised on some pasture, liberal raw milk, small amount of grain. very lean! by the whole, or half. 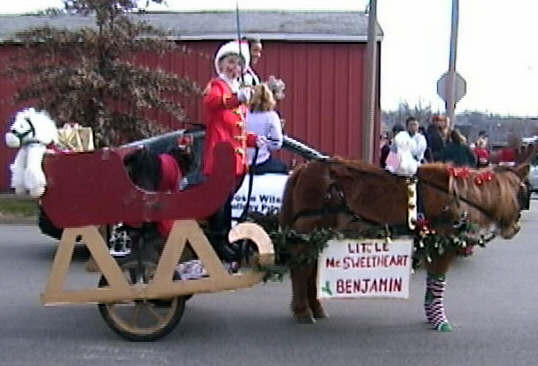 we added Hereford hogs to our line-up this year. 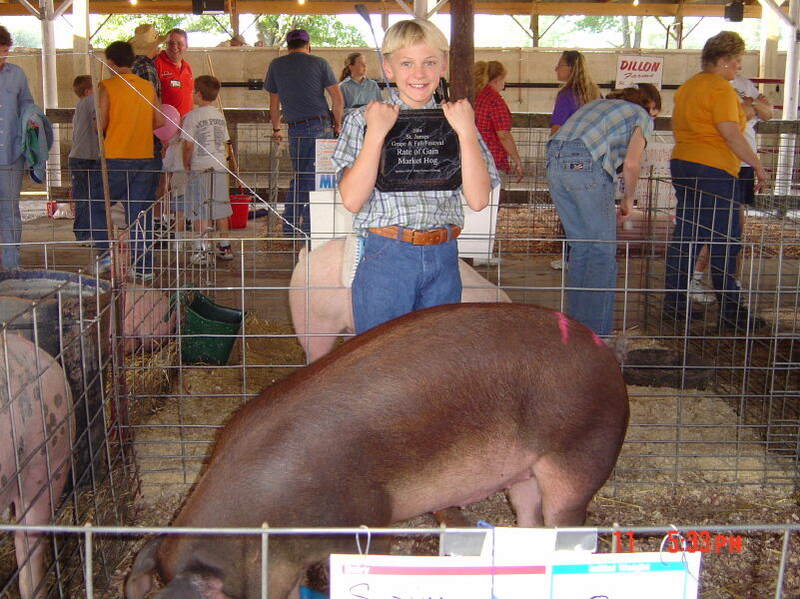 A med sized pig, good on pasture. So will have milk fed/pasture raised hogs on a slightly larger scale. the '11 pigs were butchered, will have a half or whole hog ready in Jan/Feb of '12. 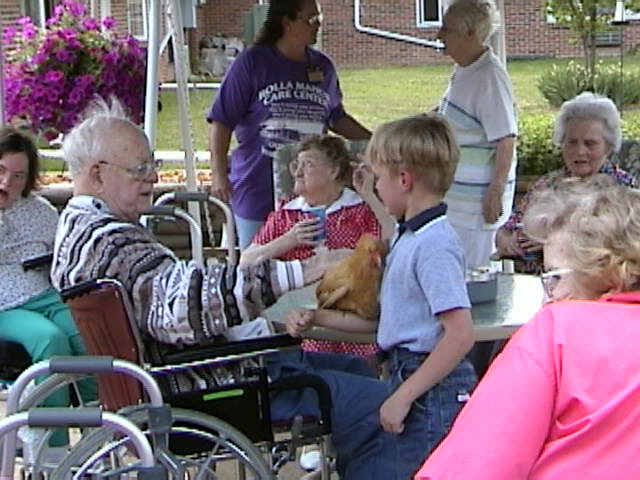 Residents at a local nursing home, enjoy a visit from Benjamin & critters! Chores & milking, by machine. 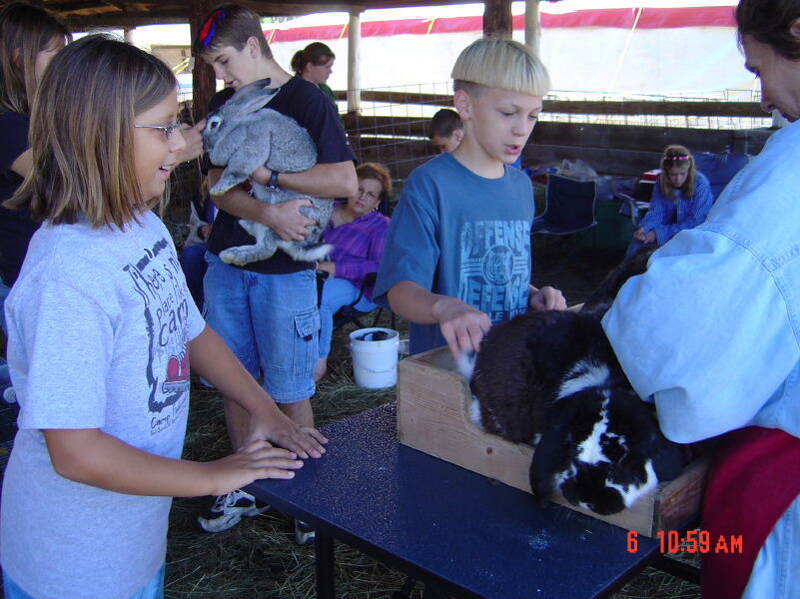 a nice broken Polish doe being groomed in his rabbit barn. sale info at bottom of page. milk fed pork!